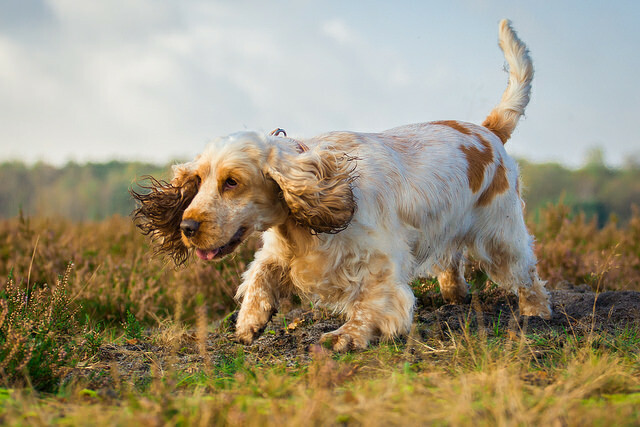 The American Cocker Spaniel, often referred to as the “Cocker,” is the smallest Spaniel breed and they get their name from the “woodcock” bird, a bird that historically and still today are excellent at hunting. Cocker Spaniels are intelligent, cheerful, and lively, making excellent bird-hunting partners and family pets, yet they are also excellent at performing in the conformation show ring. 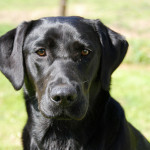 Their beautiful coats, loving disposition, and dreamy dark eyes make them a popular pet choice. 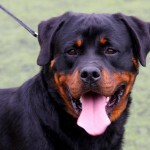 In fact, they have been one of the more popular purebred dog choices within the United States for years. 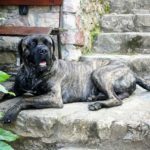 However, the popularity of this breed has resulted in overbreeding from time to time, with some breeders focusing on making more money instead of ensuring they promoted well-tempered, sound, healthy dogs. 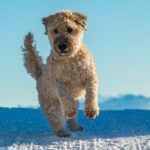 If you are considering adding a Cocker Spaniel to your family, here’s a look at their history, appearance, temperament, health, and other helpful information you’ll need. Originally referred to as Spanyells, Spaniels are dogs that have been around for hundreds of years. This diverse, large group of dogs dates all the way back to at least the 14th century, although some believe they go back even further. This type of dog was historically bred to hunt on water, land, or on both. 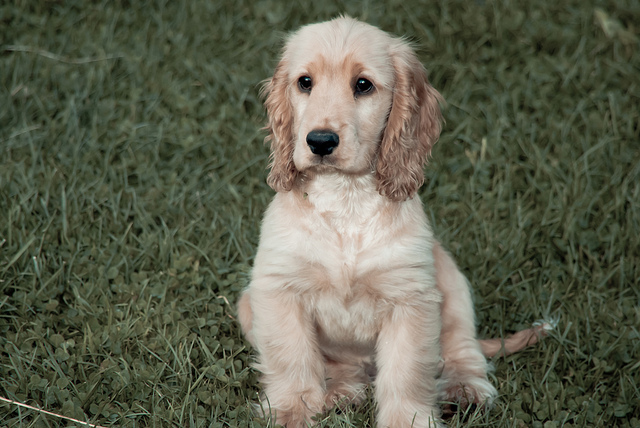 The smallest of the Spaniels, the Cocker Spaniel also happens to be the smallest dog that’s a part of the AKC’s Sporting Group. English and American Cocker Spaniels were specifically bred to flush out and retrieve birds, and it’s thought that their name comes from the “woodcock,” a bird that they are very good at hunting. English Cocker Spaniels were first imported to Canada and the United States in the 1800s, and individuals interested in bird hunting were the ones to bring these dogs into North America. English Cockers received breed status in the Kennel Club Stud Books in England in 1892. American Cockers soon to diverge from the English Cockers, and American breeds started to breed the dogs down in size, making them a great size for pets. It was not until 1946 that the AKC finally recognized the English Cocker Spaniel and American Cocker Spaniel as two distinct breeds. 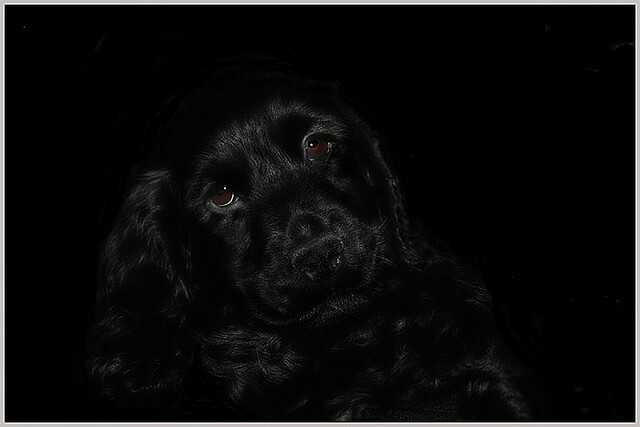 The Cocker Spaniel is fairly small with a silky, glamorous coat that ranges in color from light cream to coal black. 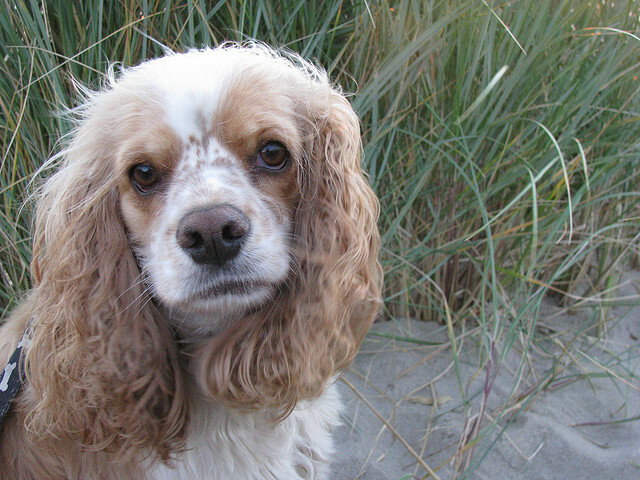 The American Cocker Spaniel has a head hat features a rounded skull, squared-off lips, a pronounced stop to the head, and an upturned nose. They also have long, low-set drop ears that feature silky, beautiful fringing. 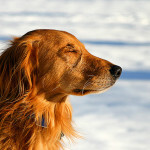 Cockers also have a black or brown nose, round, dark, large eyes, and beautiful feathering on their coat. Cockers come in various coat types and multiple colors. 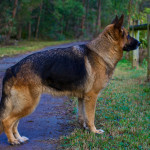 They all have double coats with a moderate undercoat and a silky, medium-length outercoat. Their outercoat may be slightly wavy or flat. They also feature feathering on the legs, chest, belly, and ears. 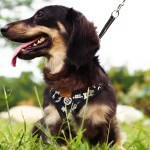 Multiple colors are seen in Cockers, and they come in three groups: solid colors other than black, parti-color, and black and tan/black. Black Cockers should be jet black. The solid color group can come in any solid color, including chocolate, dark red, and light cream. Parti-colored Cocker Spaniels have coats that include two or more well-broken, solid colors, but one of the colors has to be white. Merle-colored Cockers also exist, although the American Kennel Club does not recognize them in the show ring. The Cocker Spaniel is happy, sociable, and outgoing, which makes them a popular pet choice for families. 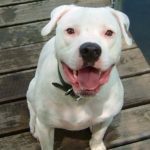 They are easygoing and sweet, so they are great with children and get along well with other dogs, as well as cats with proper socialization. 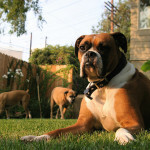 Since these dogs tend to welcome everyone as friends, they do not usually make great watchdogs. However, the Cocker is an endearing, loyal companion that loves human attention. Cocker Spaniels are very intelligent and they work to please their owners, which makes them very easy to train. Of course, early socialization is very important. 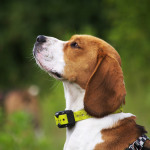 These dogs are very affectionate and sensitive, so they are best trained with the use of patient, gentle command repetition and positive reinforcement. 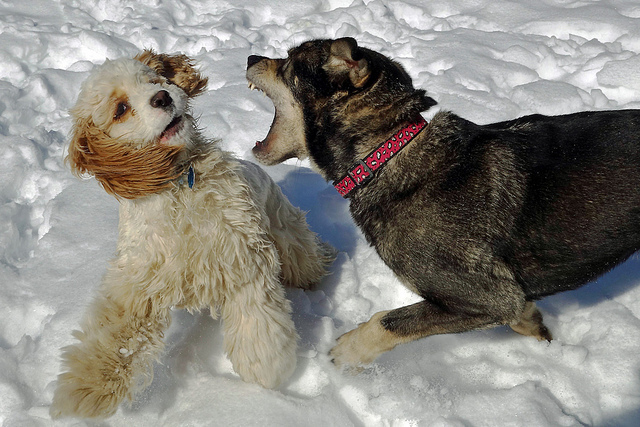 Before moving to a new command, it is best to allow Cockers to master one command. 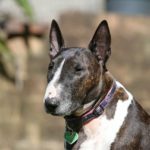 It is often difficult to house break this breed, although crate training usually makes it easier. 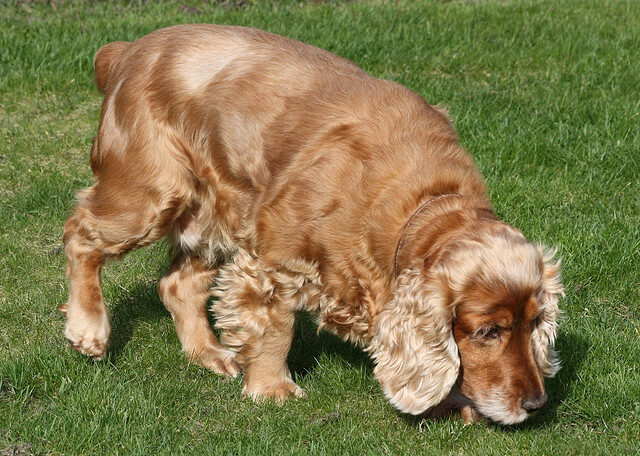 Since Spaniels are bred to be hunting dogs, the Cocker Spaniel is very alert to the presence of small animals and birds. This means it’s important to avoid letting Cockers off the leash unless they are very well trained. They are likely to become distracted by moving creatures, and they will often give chase. Since the Cocker Spaniel has an abundant coat, they do require regular grooming. 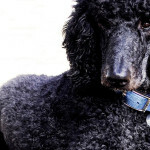 Many owners decide to take their Cocker to a professional groomer to keep their beautiful coat tangle-free, tidy, and neat. It is important to clean this breed’s large eyes regularly. 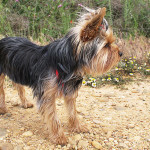 The long, hairy ears also need to be cleaned regularly to prevent infection and keep debris from building up in the ear. If Cocker Spaniels are not brushed, combed, and bathed regularly, they have the ability to develop hair mats that are difficult to remove. 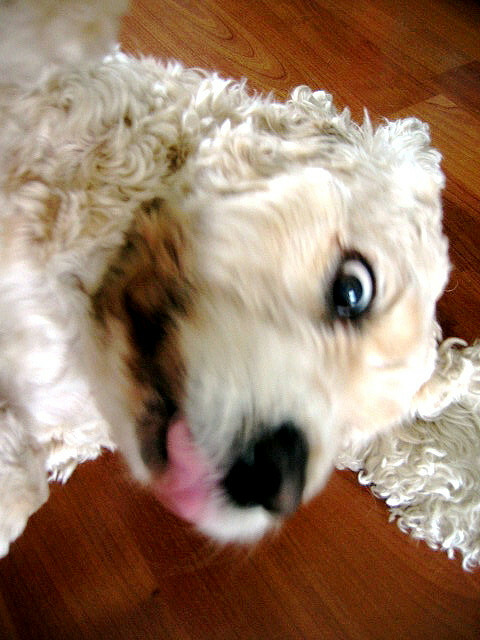 Today Cocker Spaniels are usually kept as loving pets. 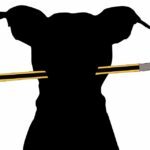 However, the Cocker Spaniel has long been a bird dog, and they are still used to flush out and retrieve birds by hunters today.